So many of you have asked about the Noah's Ark Christmas tree. My parents found it for me at a Plow and Hearth tent sale four or five years ago. They don't carry it any more, but a quick Google search found this result. My parents bought it for $5 or $10 and it was originally $50 at Plow and Hearth. I will say that I don't believe the quality warrants the higher price. It's cute, but it's not very durable. Last year, I participated in Megan's Sharing Christmas event. Well, she's hosting it again this year and even though I'm a day late, I figured I'd join in! 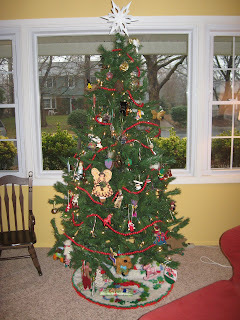 To start with, I'll remind folks that our last name rhymes with the word "holiday," so my post title is a bit catchy. Our home looks a bit different this year even without all of the Christmas decorations. We are thankful to have been able to do some redecorating this past October and November. 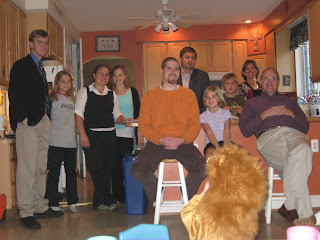 Since our nativity is very child-friendly, it usually looks something like this. 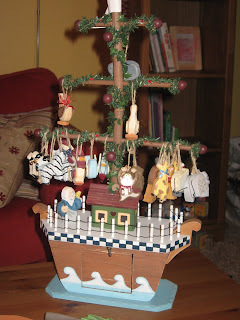 Our Noah's Ark Christmas tree is also a favorite plaything. Therefore, the animals aren't always arranged as Mommy would have them! 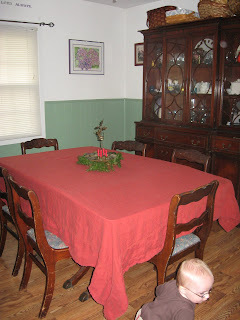 This is the debut of our dining room on the blog. The floor used to be carpet, but now, thanks to Duncan's craftiness, it is laminate. We LOVE it! 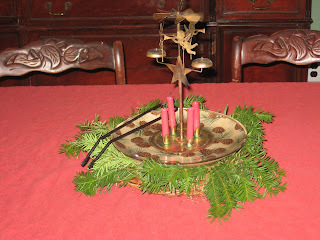 In the center of the table is a wreath made of live greenery from our yard and a Swedish angel chime. When you light the candles, the angels twirl around, making the bells ring. Because of our furniture rearrangement, our tree is in it's new spot. I LOVE having our tree in the front picture window! A new addition to our tree is this skirt. 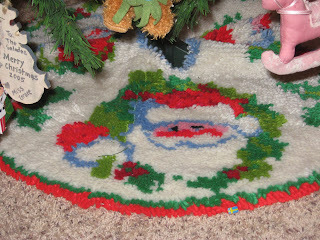 In the late 80s or early 90s, my mom made latch hook tree skirt for herself, each of my siblings (who were all married by then) and my grandparents. I was still living at home and had no need for my own. Since my grandparents both passed away last December, my mom offered me their tree skirt. I LOVED the one we bought at Target several years ago, but this one has meaning and I'm thankful to have it. 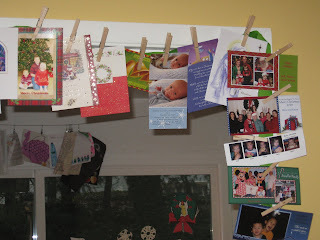 Another change is how our Christmas cards are displayed. I cannot take credit for the idea. I stole it from MckMama. 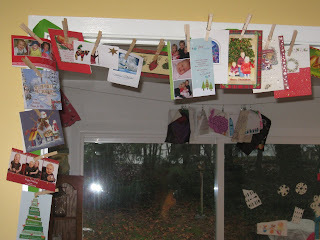 I hope you've enjoyed a little peek into our home this Christmas. 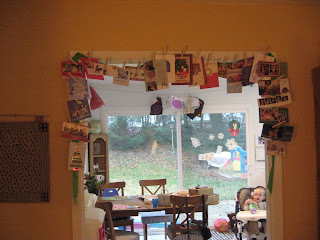 I also hope you head over to Megan's blog to enjoy even more decorated homes. Isn't Christmastime wonderful? I love the decorations, the sense of anticipation. The preparation we do as a family to celebrate the birth of our Savior. 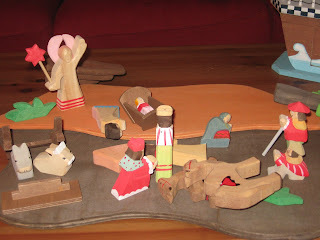 Telling the story of Jesus' birth to our children. Imagining. Answering their questions. Driving around at nighttime and seeing all of the decorations. Which brings me to the purpose of this letter. My request; my plea, if you will. While putting huge blow-ups in my yard is not a choice I would make, I'm thankful for their presence (in seemingly more and more home displays each year) in that they delight my children. I recognize that they are fairly easy to set-up...easier, at the very least, than the wrestling match my husband had with our icicle lights this past Saturday. They are festive and cheery. I get all of that. What I don't get, however, is the failure of most of their owners, or caretakers, to inflate them during the day. It's not like we wouldn't be able to see them during the daytime. Quite to the contrary, we see them. In puddles. Flat on the ground. 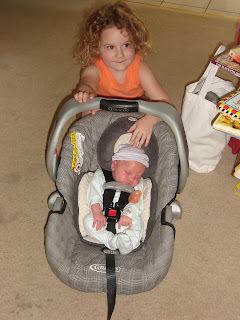 Having small children during the surge in the use of said blow-ups has caused many a stress-filled car ride around town during the Christmas season. "Mommy, what's wrong with Santa?" or "Oh, no, Mommy! Frosty fell down!" 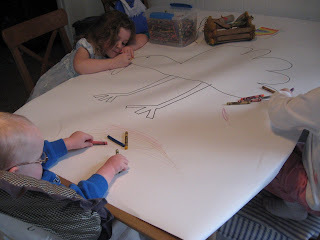 You see, small children don't have the ability to discern between animate and inanimate just yet. Seeing some of their favorite Christmas characters splayed out on your front lawn can be quite distressing for both the child and the parent that already answers 6, 279 questions each day. And that's just before lunch. So, I'm pleading with you, begging even, that you would consider my plight. If you are going to purchase a large blow-up holiday decoration, please have it "up and running" both day and night. Please don't allow your blow up to lounge around all day. Make sure he's standing tall and proud! For the sake of the children! Violet and Linus playing contentedly in their seats while Amelie quietly read Boxcar Children as I cleaned up the lunch dishes and did yesterday's hand washing. (Luxury is also a husband who at least partially empties the dishwasher nearly every morning before he leaves for work. Have I ever mentioned I loathe emptying the dishwasher almost more than anything?) Now, Amelie is helping Violet color Christmas ornaments while Linus plays happily on the floor. Life is not usually this calm. While I love all of the craziness that life with three small children brings, I'm thankful for little moments like these when they sneak up on me. God is so good to me. And now, the someone that just crawled up next to me smells like he needs a change. Did you know that Duncan has four step-brothers? 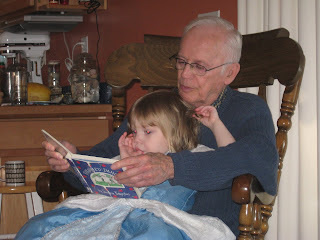 He only ever lived with two of them...one for any significant amount of time, since they are a good bit older than he. Way back on the last weekend of October, we headed on a short weekend jaunt to visit with one of them and his marvelous family. 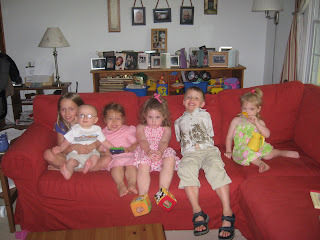 Doug and Nancy (yes, it causes problems since Duncan is often referred to as "Dunc") have nine children. 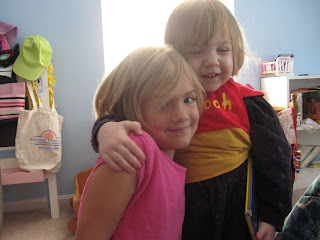 Their oldest was married last May and their youngest is two months older than Amelie. Their second youngest is just a couple of years older than Amelie. 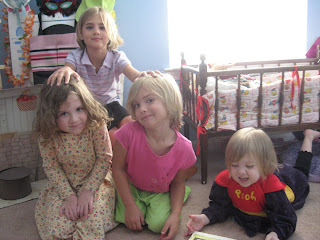 Needless to say, the four little girls had a ball with one another. Duncan's mom and step-dad met us there and we had a delightful visit lasting a bit more than 24 hours. We talked, laughed, ate cookies, and had a wonderful time. Linus with his Ducky (what we call Duncan's mom). 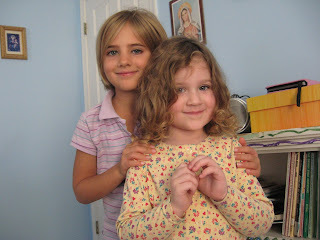 The little girls spent most of our time together in Fiona's (#8) and Natalie's (#9) room. 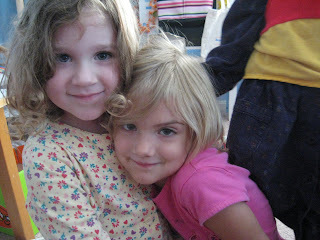 Amelie and Natalie...just two months apart. Natalie and Violet aka Pooh Bear. 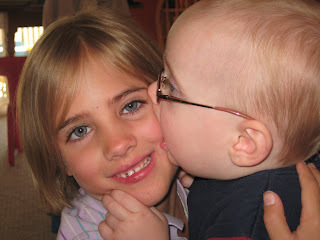 Linus had some kissy time with Fiona. If you were counting, Violet had on three costumes in these pictures! The girls played dress up the majority of the weekend, I think. We had such a great time. We hope to spend more time with Doug and Nancy's family as the years go by. They are such a blessing to us! So thankful to count so much of our family as our friends too. 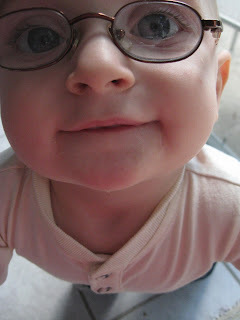 Linus and I often have these sessions (sans video camera) while his sisters are in the bath. It seems that he has a hard time answering his own questions when they're around. Hmmm... I wonder why. Could it be that neither of them EVER stops talking? Oh, and please excuse my pre-school teacher voice in this one. Since we'll never be done and it's getting so close to Christmas, I figured I needed to share some pictures of our "new" house. We weren't very good about taking "before" pictures, so I had to dig through some oldies to give you folks who have never been to our home, a feel for what we had going on before the re-do. 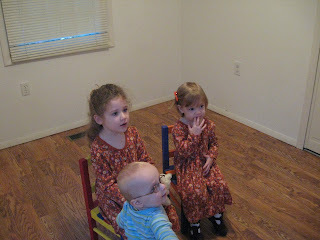 This first shot shows the color of our couch, the white walls, and a smidge of beige, almost white, carpet at the bottom. 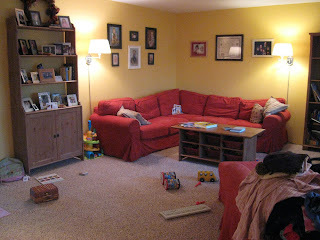 This one shows more of the carpet (which looks remarkably clean! 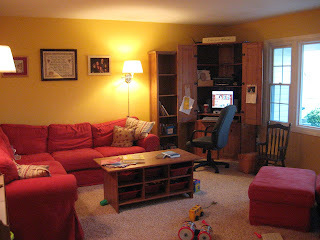 ), the Ikea "antique stain" we have all over our house and the red couch. This one, aside from showing you an adorable 3.5 year-old Amelie and a 7-day-old-fresh-from-the-hospital Linus, shows some the stains that were ALL OVER our almost-white carpet. 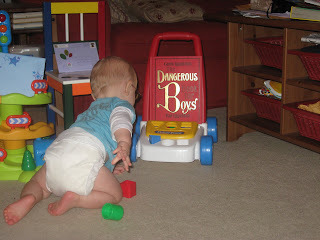 You'll have to trust me when I say that this picture doesn't touch how bad our carpet looked. And this is the view from the kitchen doorway. And this is the view from the computer desk. So there you go. Piles of laundry, strewn-about toys, tea sets and all. The hutch in the last picture is new. Also the coat rack and hanging baskets by the front door are new. We had to create a foyer where there wasn't one. (We added the tile there three years ago. It just didn't make sense to step right onto carpet through the front door.) 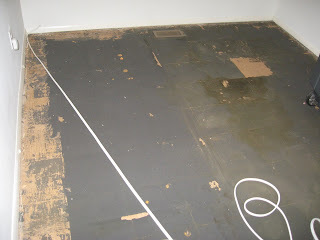 The carpet is variegated and hides everything. It's hard to tell when I need to vacuum. The exact opposite was true of our former carpet. We're quite pleased with the changes and are thankful for the ability to have done it. We're also thankful for the push it's been to SIMPLIFY!! It's the only way, my friends! Here's signing off until after Thanksgiving. Hope it's a good one! I'm excited to share our "home changes" photos with you, but am waiting until we're completely done. So, I guess you'll have to wait another six months? No, just kidding. We're still working on the finishing touches. But I can tell you, as I type, Duncan is attaching all of the tall pieces of furniture to the wall. So we've decided on a (semi?) permanent layout for the living room, at least! We're closer than ever, folks, to the big reveal! I know you all can hardly wait! 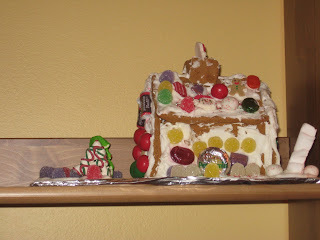 That said, I just wanted to share a bit of our simple craftiness for the Thanksgiving season. To begin with, we have our Thankful Tree. 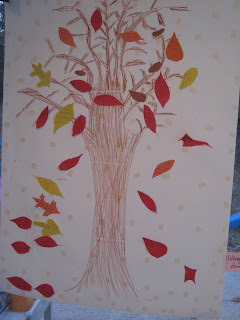 Violet and I created the tree and Amelie and I cut out the leaves. Many nights, after dinner, we each share something for which we are thankful and write it on the leaf. It could be something from that day or just something in general. It's been great to talk about thankfulness, pointing out the myriad of blessings in our lives. It's gone hand-in-hand with the discussions we've had about giving away some of our toys and books to others, as well. 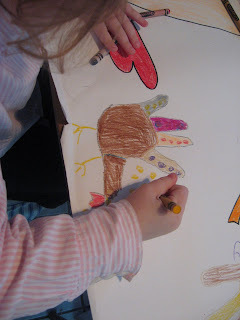 We also have our hand turkey table cloth. 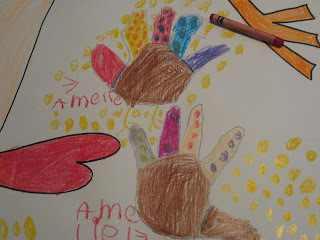 Because, what's Thanksgiving without a few hand turkeys, right? 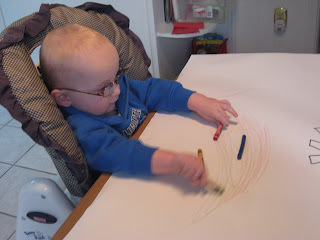 Linus even got in on the crayon fun. This is an action shot. 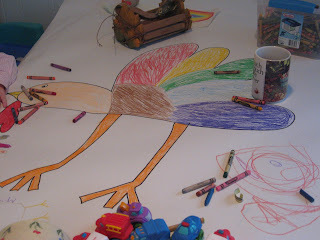 We also colored a centerpiece turkey. In case you were wondering, I just drew if free hand. 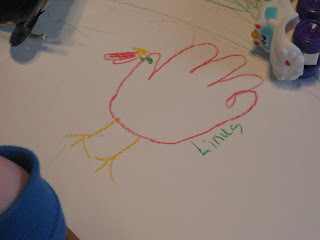 It's not an actual hand turkey. 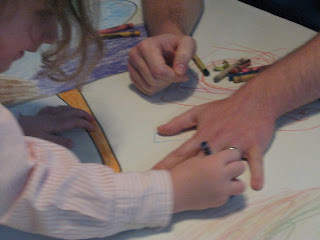 Amelie, at 4 and five-sixths, is definitely our most intent colorer these days. Here, she's adding turkey food to one of her turkeys. As you may notice later, she kindly gave every turkey some food! 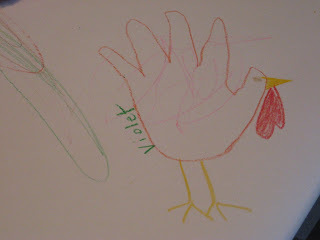 Here, Violet is showing off the hand she used to make her turkey. 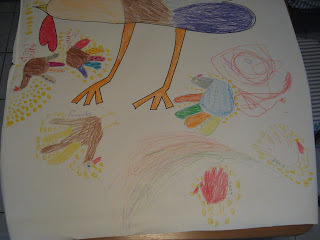 Daddy had to make his hand turkey as soon as he got home from work. Good thing we won't be home for Thanksgiving and therefore won't spill any turkey gravy on our masterpiece! 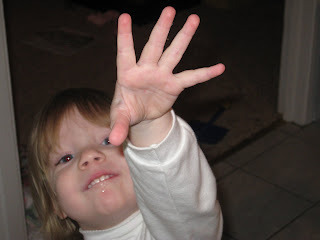 I can't believe I've been absent from blogdom more than a week! After that quick 12-hour stomach thingy that hit three of the five of us, we've been busy with the house. 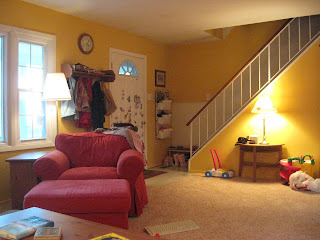 Duncan did a fabulous job painting a large portion of our home in Gold Buff, or Golden Buff, as Amelie calls it. As one friend put it, it's as if we brought the sunshine right inside! Our carpet is called "cider" and is the neutral, variegated type of carpet that our home has been missing all of these 6.5 years we've lived in this house. The furniture is rearranged, some is going, some new is coming. We're in purge mode, getting rid of and throwing out SO MUCH STUFF! It feels SOOOOOO good. I'm still working on getting things back on the wall. Then it's time for PAPER. If anyone has a good method of dealing with the ridiculous amount of paper the accumulates in their home, I would love to hear it. I'm not naturally an organized person. It's a struggle for me to wade through what is necessary to keep, what can be tossed, etc. Like those explanation of benefits papers from the insurance company? How long should I hold onto those? Or do I need them at all? So, I've been doing research to find out how long we should hold onto such things. 1. 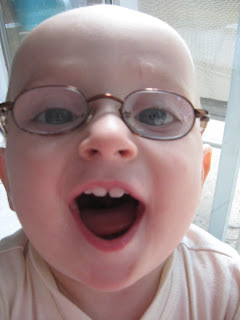 Baby books (ugh!) There. I said it. Why does something that seems so innocuous make me feel so guilty? 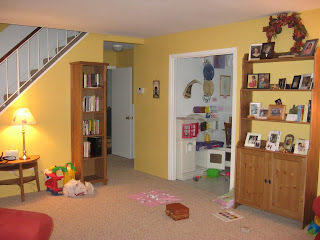 3. three downstairs closets that are not usable because they are full of STUFF! 4. the garage --it's quite a mess since Duncan did the floors and painted. I think I'll leave it up to him;). So there you have it. Lots going on here. Lots keeping me from blogging. I promise to post pictures soon! Why are we here even though they are on the other side of the world right now? Our house is COMPLETELY torn up getting ready for phases 2 and 3. 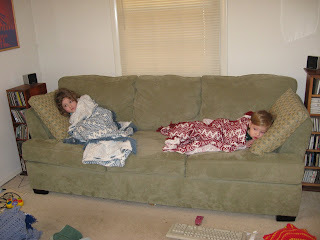 Not so comfy for us sickies. Please pray the kiddos don't get it! I would never call myself political. In any sense of the word. Politics and the lies and deceitfulness and the forked tongues are so discouraging to me. However, I voted. And as the returns came in, I didn't win or lose yesterday. I just have a new president. "So many of us—members of the widely contested “young evangelical voters”—were divided about this election. Not just as a group, but even in our own hearts. I know which candidate I chose, but it wasn’t an easy decision. And, to be honest, I didn’t really care who won. I agreed with both. I disagreed with both." Leading up to the election, I just kept reminding myself that God is Sovereign. No matter who is president, no matter which "way" Congress tilts, God is Sovereign. God is the same yesterday, today and tomorrow. His will is what prevails each and every day. And His will is perfect. 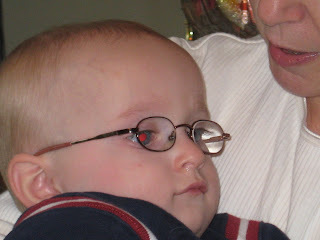 Eleven years ago, on Halloween, Duncan came to visit me at WVU for the very first time. I was a senior and we had met more than two years before that. Two years and I couldn't get him out of my system. Yes, I found him on the internet, struck up an e-mail conversation with him, which turned into him calling me on the phone, which turned into his visit. He came on Friday and left on Sunday. I bet you'll never guess where he was the next weekend! We dated for 19 months. And, boy, did he ever take me on a roller coaster ride! After 19 months of dating, he broke off our relationship. Heart-broken, I moved on. Moved away, literally, from where he was. And 13 days after he broke up with me? Engagement was blissful. Well, except for the long-distance part. Marriage has been beyond describable. Duncan is an amazing husband. I'll just have to leave it at that. As we drove home this afternoon, I thought about how, 11 years ago, to the day, I probably day- dreamed about what I am living right now. Duncan is my husband. We have three beautiful children. And this November 2nd, he wasn't leaving Morgantown by himself as my not-but-almost-boyfriend. We were leaving Morgantown together, having been married nearly eight and a half years. With our three adorable children in the back of the van. The trip was hard (and I'll post about it in more detail soon enough.) But it was also wonderful. And totally worth the effort and hardship. We got to see our favorite Patrick! We got to see so many of the dear people that walked through life with me when I was first getting to know Jesus. It was marvelous. Realizing this special anniversary just made it all the better.